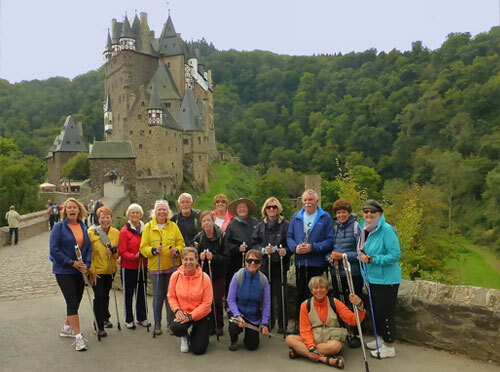 What’s Included: 7 nights, daily breakfast and dinner, Nordic Walking instruction, group transfer from and to the airport; English-speaking instructor, all entrance fees and use of poles. 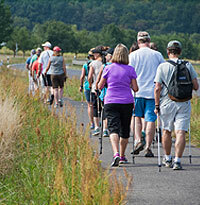 … the hillsides that line the Saar and Mosel valleys but our walking routes run near the river, giving us good views wherever we look. Pretty medieval towns are set between the vineyards and the water, their houses tall to conserve space, their streets narrow but opening to hospitable squares. We spend seven nights aboard our barge, the Allure, which will travel the Saar and Mosel Rivers along with us and spare us repeated packing and unpacking. We’re in western Germany, very close to France, and the towns we visit have a splendid sense of place. Their history is long, their wines are excellent and, naturally, so are their beers. 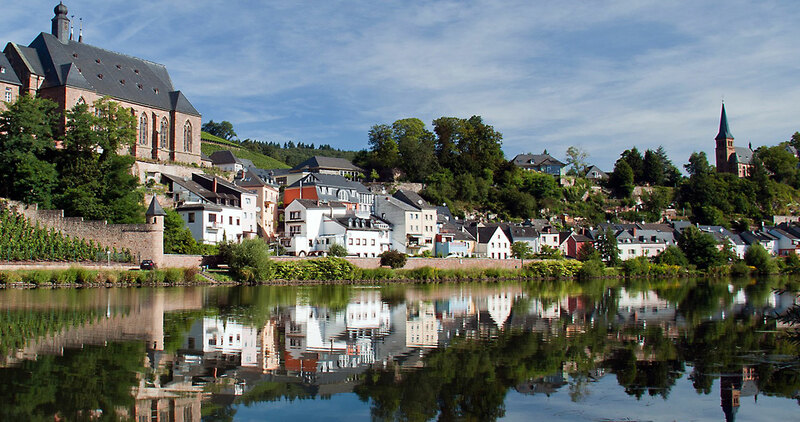 We will fly into Luxembourg and out of Frankfurt, transferring first to Merzig on the Saar River, a convenient starting point. The following night finds us docked at Saarburg, where a bell foundry is the likely source for church bells we hear from time to time. Now following the Mosel River, we come to Trier, a city of such ancient history that Roman occupation is thought by some to have been only an interruption to a continuum reaching back to founding by Assyrians. Trier is the oldest city in Germany, whether founded by Romans or Assyrians. In Bernkastel-Kues many buildings are half-timbered and the fountain in the square sometimes flows with wine. Every day brings new vistas of castles, romantic ruins, and well-cared for vineyards but in the town of Traben-Trarbach we see Art Nouveau-style buildings – now a hundred or so years old, but like a fresh breath after all the ancient shops and houses we’ve admired. 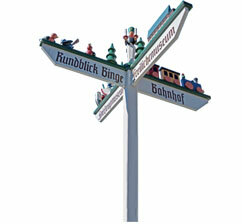 Other towns where the barge will dock and we will spend the night are Zell, Cochem and Koblenz. Zell’s Schwarze Katz (“Black Cat”) wine may be known to you even before you come, as its fame is considerable. Here’s the place to see if that fame is deserved. Cochem, hemmed in by vineyards and the river, looks up to an 11th-century castle on the highest point around. Nearly destroyed by Louis XIV’s army, it was later restored and rears above the town with views upstream and down. The fitting end to our journey is at Koblenz, where the Mosel meets the Rhine. International trade routes have emanated from here for centuries. We will transfer from Koblenz to Frankfurt Airport, luggage perhaps heavier by a bottle or two.